RUSH: Earlier this week a news anchor on WCBS radio 880 in New York, Wayne Cabot, lumped me in with a bunch of conspiracy theorists and actually led his audience to believe that I was part of a cabal, and maybe even the leader of the cabal, suggesting that students from the high school on TV talking about the shooting were not really students, that they were hired actors. And I never said that. I never even got close. I didn’t even know that that allegation was out there until the morning I came in here doing show prep and saw my name attached to it. I didn’t even know that allegation or that conspiracy theory was out there. Yet here I am lumped as the leader. Which I understand, if the left wants to tar and feather and impugn conservatism, they go after the titular head, the person they think is the titular head. And that would be me. So at 5:30 this morning on WCBS 880 in New York City, Wayne Cabot — wait a minute. We’re gonna first play what he said originally. This was Wednesday. I’m sorry. This is not the apology. This is Wednesday. CABOT: In this atmosphere where the media are suspect, where all of us are trying to discern real from fake news, we here at WCBS were called out Wednesday by Rush Limbaugh over a report that I read that morning. We want you to hear what Rush said and let you decide if he’s right. RUSH ARCHIVE: So, to illustrate this, we’re gonna start with audio from WCBS news radio 880 in New York. This is the coanchor Wayne Cabot reporting how I and other conservatives are reacting to student-led anti-gun protests resulting from the shooting last week in Florida. CABOT: Right-wing groups are claiming conspiracy, and some of the Parkland students, they say, are actors who travel to the sites of shootings and push a liberal agenda. In fact, President Trump’s son, Donald Trump Jr., is among those who liked a pair of tweets about 17-year-old David Hogg portraying Hogg as the son of a retired FBI agent being put in front of the cameras to defend the FBI while being manipulated and coached by the Democratic Party and gun control activists. The conspiracy theories are being picked up by people like Rush Limbaugh on WOR radio, who said everything the students are doing is right out of the Democratic Party’s playbooks. RUSH ARCHIVE: “Picked up the conspiracy that the two students are actors.” I didn’t even know that this thing had been launched, as I say, until today. 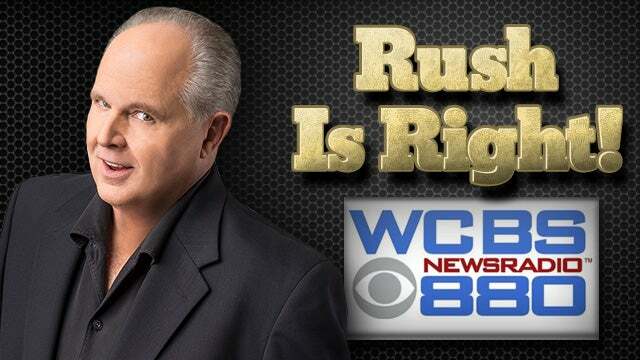 RUSH: So now here is at 5:30 this morning, the same guy, Wayne Cabot, at WCBS 880 radio in New York. CABOT: Well, let me say it, Rush Limbaugh has a point. We were not careful enough to distinguish his comment from the earlier comment about paid actors. The insinuation was that Rush was buying into that claim, and that was careless here on WCBS. I should have caught that. We also should not have used the term right-wingers. How often do you hear us or anybody else in the mainstream media refer to left-wingers, right? You never hear that. Both terms are politically charged, not helpful at all in communicating our objectivity. So, Rush Limbaugh, you are right, we got it wrong, we will do better, because we are better than that. We really do strive to get it right. So that’s Wayne Cabot, again at 880 in New York, WCBS. Now, that was at 5:30 this morning. However, the lie continues to spread. By the way, his reference to right-winger, left-winger, everybody’s prisoner to what they read, and conservatives are constantly referred to as right-wingers. Liberals are never referred to as anything. I mean, maybe they’re called liberals some days. Mostly they hide behind this term “progressive,” but rarely, rarely anywhere in standard, ordinary, everyday news copy will anybody ever be described as a left-winger. They’re barely described as a liberal. They’re not even described, or even characterized. “Democrat Senator Chuck You Schumer in Washington today said about ultraconservative right-winger Rush Limbaugh.” And Chuck Schumer is never described. But let’s now go to the BBC Radio 5 in the U.K. This was yesterday Up All Night with Rhod Sharp and correspondent David Willis speaking about the students from Marjory Stoneman Douglas recent anti-gun activities. WILLIS: Yes, suggestions I think made by some prominent media people, including the radio host Rush Limbaugh. 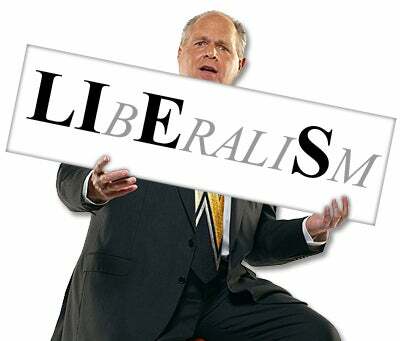 SHARP: Rush Limbaugh, indeed, yes. WILLIS: He’s telling this story, hasn’t he? RUSH: They just love saying my name. (imitating Sharp and Willis) “Rush Limbaugh, yes, Rush Limbaugh. Rush Limbaugh, of course. Of course, the right-winger Rush Limbaugh.” Of course, these guys are dead wrong to boot. And they probably will not hear that they are dead wrong, and the odds that they would correct themselves at the BBC? Fat chance for that. So the subject, however, nevertheless continued to last night on the Fox News Channel, one of the guests was Joe Concha. Joe Concha used to be with Mediaite. Joe Concha is now at The Hill. He’s the media correspondent at The Hill. And he was asked to respond to this clip that was played, something I said about the CNN event. MARTHA MACCALLUM: In terms of the CNN town hall last night, this is Rush Limbaugh talking about that. RUSH ARCHIVE: What did the audience do last night? The audience booed Marco Rubio. The audience booed Dana Loesch. This is what indoctrination looks like. This is what a lifetime of propagandizing and indoctrination in the schools looks like. 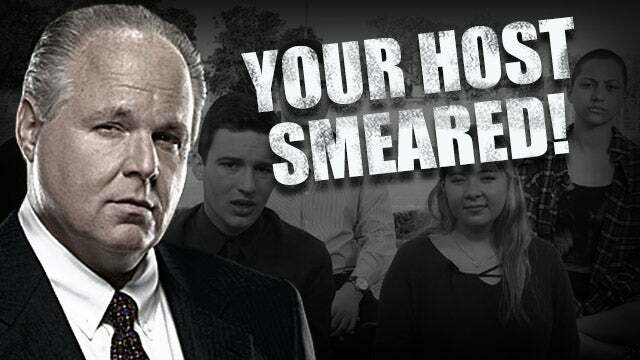 RUSH: Now, that is a segment of the bite where I went on and characterized this whole thing as, remember, a student stands up and says to Senator Rubio (paraphrasing), “Senator Rubio, I can barely look at you. Looking at you reminds me of the barrel of an AR-15. I feel like you’re a murderer. I feel like I’m gonna die standing here looking at you.” And we all know what happened to Dana Loesch. She was accused of being a murderer and people said, “Die, b-i-itch,” and burn this and burn that. And the anger, I’m not gonna characterize whether it’s real or manufactured, but it is totally misplaced and misdirected. And CNN knew it. CNN got exactly what they wanted. Jake Tapper made no effort to try to control this, except when Bill Nelson got the wrong question. Did you hear about this? CNN’s out there denying that questions were written for people, denying that there was any kind of planned strategy to this thing, and yet somebody stood up and started asking a question of Senator Bill Nelson. I’m looking to see if we’ve got the bite here. I know I read about this. We may not have the bite. And Jake Tapper stopped him. Whoever was asking, “No, no, uh, uh, that question is not for you, Senator. Sorry, sorry.” And whoever was asking the question sat down and was never to be heard from again. Anyway, here’s Joe Concha, who is the media critic and analyst at TheHill.com reacting to all this. CONCHA: From a theatrical standpoint, you had all the ingredients for confrontation, right? You had a room that was obviously on edge, very emotional. And then you had these sort of polls and stats in terms of the wind at the back, in terms of making this the way it was. Where there really wasn’t a learning experience or exchange of ideas, but one side attacking another. Quinnipiac, one day before the town hall, Martha, question: “Is it too easy to buy a gun in the U.S. today? American voters say yes by a 64% margin.” Question: “Does Congress need to do more to reduce gun violence? Voters say yes 75 to 17%.” So when you have all those headwinds in that kind of crowd, you’re not gonna learn a lot. You’re gonna get the kind of confrontation that only leads to division and doesn’t really move the ball down the field. RUSH: Precisely. There was no attempt a town hall. That was not a town hall. That was televised therapy, televised catharsis, I don’t know what you want to call it. But that event occurred as a vehicle and an opportunity for people who had nothing to do with this to be blamed for it and yelled at and shouted at and fingers pointed at. Marco Rubio? Dana Loesch? Nothing to do with this event. And ditto the NRA. And yet there are your targets. And right there, making it all possible, and steering it, and directing it, and producing it is none other than CNN. RUSH: Emailer said, “Rush, what show was Joe Concha on? You didn’t say it.” The Story with Martha MacCallum is where Joe Concha was last night. Fox & Friends also agreed, by the way, with a point that I made. I was on a roll on the Drive-Bys yesterday and the rest of the media. 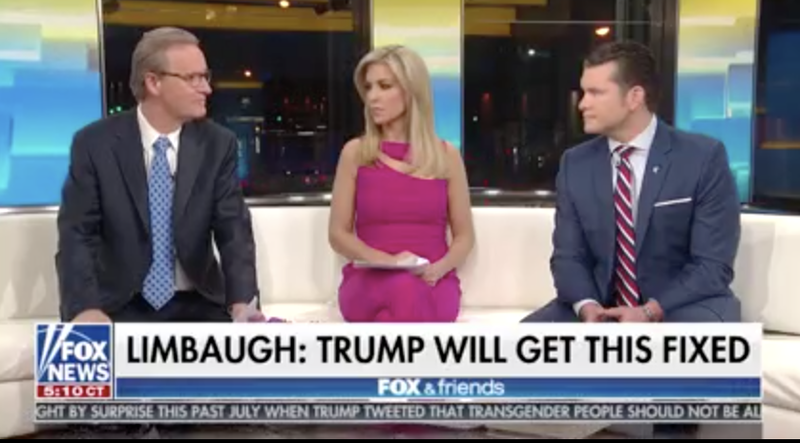 Fox & Friends today agreed with a point I made yesterday that there may actually be something changing on the school shooting front, I said, because of Donald Trump, that something feels different about this, and here is Ainsley Earhardt on Fox & Friends. EARHARDT: Rush Limbaugh said yesterday he’s confident the president will. RUSH ARCHIVE: This is gonna get fixed, like taxes got fixed. The military is in the process of being rebuilt. That’s gonna get fixed. We are gonna fix things to do with Obamacare. You may not like the way Donald Trump talks and speaks. You may not like the fact that Donald Trump tweets, and you may not like the way Donald Trump walks, and you may not like this or that about Donald Trump, his behaviorisms and his manner, and so forth. But if you ignore that and take a look at what Donald Trump the president is accomplishing and what he’s doing, when he was on the campaign trail, he said, “We’re gonna make America great again.” And as often he said, “We’re gonna make America safe again.” It was in context largely to do with illegal immigration. But they’re gonna fix this. DOOCY: You know what? He could be right. We’ve sat on the couch for many school shootings, haven’t we? But this time things just seem different. HEGSETH: That’s right. You have a commander-in-chief standing up, willing to speak blunt truth. RUSH: Right. It’s not just that something feels different… It’s who Trump is. Trump remains an outsider. He comes from a world where you have to do things. You can’t talk yourself into building a building, a series of hotels. You can’t talk yourself into building a world-class golf course. You have to do it. He’s a doer. “Rather than chide the questioner for such a dishonest, partisan screed, Tapper immediately jumped to Nelson’s defense.” That question was intended for Dana Loesch, and the questioner read it to Senator Bill Nelson. Let me read it to you again. This is kind of… This is worded very oddly. I… This was really crazy. This is the questioner, the student, and she had the question for Dana Loesch, but it ended up being asked of Bill Nelson, the Democrat senator from Florida. “The crowd jeered, and the student was not happy. ‘Excuse me? I’m a student. I should –’ ‘I understand that,’ Tapper interrupted. ‘But your question, I thought you were going to ask Senator Nelson a question. Your question sounds like you want to ask Dana Loesch a question in the next segment. And I’m happy to do that, if you want. '” So Tapper, he realizes this is an incendiary question, that this is a blow-the-hell-off-the-lid question, and he doesn’t want poor Senator Nelson to have to deal with that! That’s not the purpose here. The purpose here is not to put Democrats on the spot. No, see, the Democrats are supposed to be on the same side as the students and CNN. The Democrats are supposed to be there bashing the NRA and the Republicans and so forth. So Jake Tapper moved right in there and shielded Senator Nelson from having to answer the question. That is the point I wanted to make.